People totally underrate quality relaxation time. They're always in a rush to get somewhere. Or do something. But what about going nowhere? Or better yet, doing nothing? See, that's what I'm all about. I'm comfy and I'm soft. I'm basically irresistible and you my friend, should pick up the phone right now and call in sick. You deserve it. Your body deserves it. So dive right in, and, relax. After all, there's so much nothing to do. 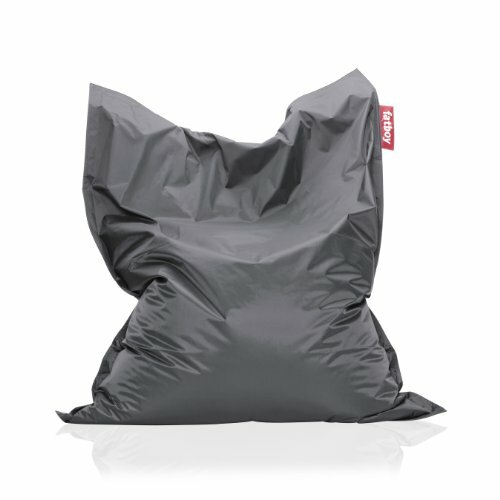 Fun and multifunctional lounge bean bag from Fatboy®; for reading, watching TV, cuddling, relaxing, and creating a wonder-fuller life for all.